There are way more companies out there that I did not try. 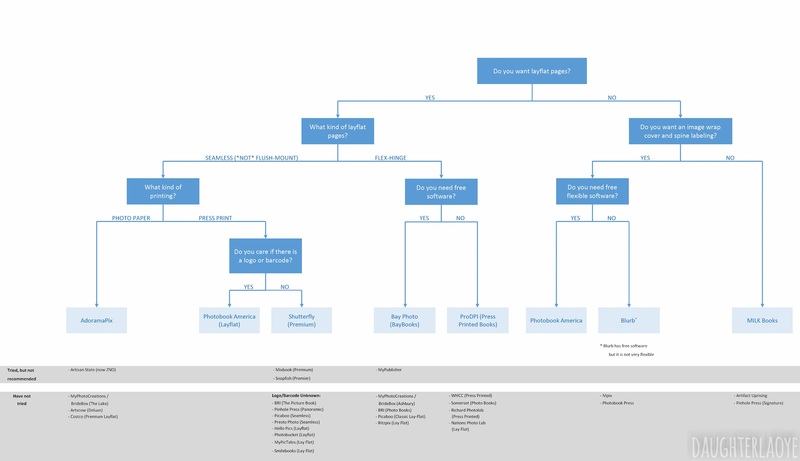 I thought it might be helpful to list out the other companies I researched, but ultimately did not try (with a short reason why I didn't try them). Mpix (consumer arm of Millers/MPixpro): No imagewrap hardcover books available (image wrap only on softcovers and non-layflat books). No spine printing. Fixed layouts. Artifact Uprising: No imagewrap hardcover available. Spine printing is only available on the layflat book (with linen cover, max 70 pages/sides, and higher price). For regular non-layflat books, spine printing is only available on the dust jacket. If they were to produce image wrap covers, I would possibly try this company (although the online software is very limiting). 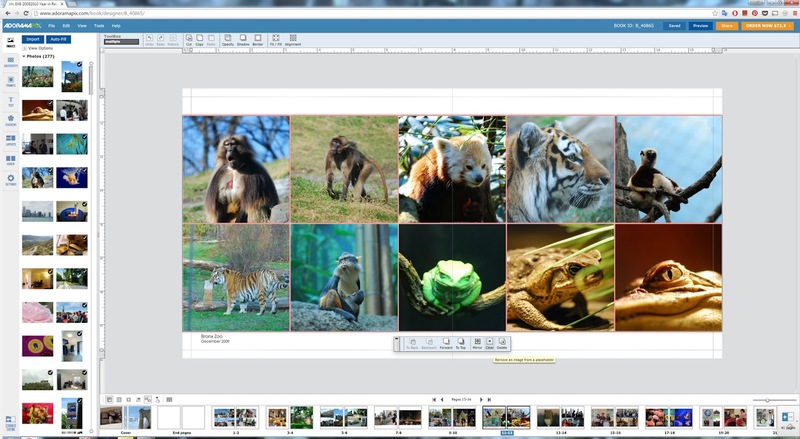 Photobook Press: Online editor is same as Artifact Uprising, but with even more limited layout options (with no plans to add more). 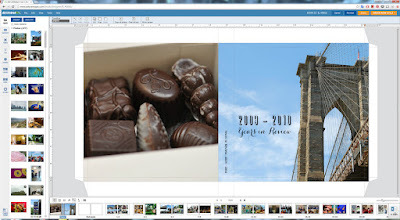 No reviews online, limited customization (paper types) and limited information about paper. Pricing is two tiered/confusing. Black River Imaging: Editor software (Cascade) is not robust (no position coordinates or size dimensions). Flex-hinge book is more expensive than Bay Photo. MyPhotoCreations / BrideBox / DigiLabsPro: Flex-hinge (Ashbury) and seamless (Lake) options, as well as flush mount. 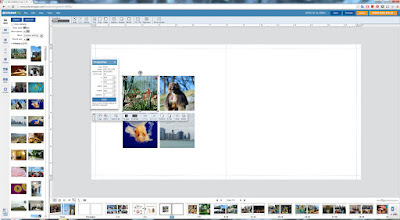 Lake is only in square formats, but Ashbury is available in portrait and landscape formats. Free downloadable software is robust. Max pages for Ashbury is 60 pages/sides and for Lake 80 pages/sides. 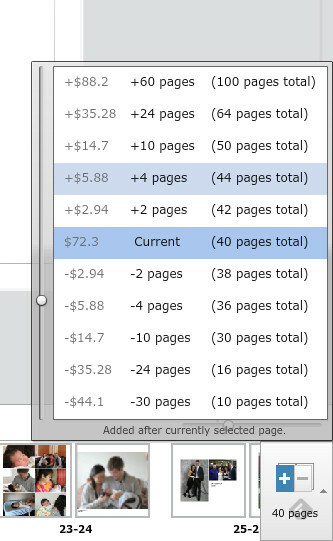 Not many choices provided in paper type, but Ashbury pages are coated (usually a surcharge at other companies). I may try this company in the future. Picaboo: Poor online reviews for their flex-hinge layflat product. 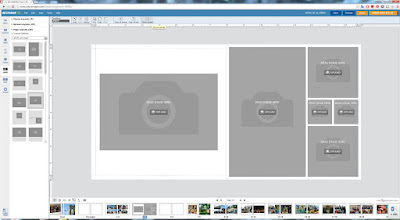 Artscow: Layflat books not available in larger landscape format. 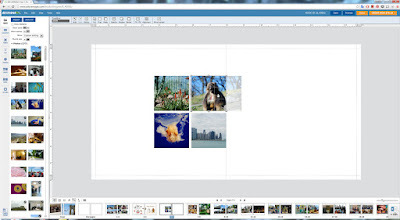 RitzPix: Layflat books only available in landscape format (not square). 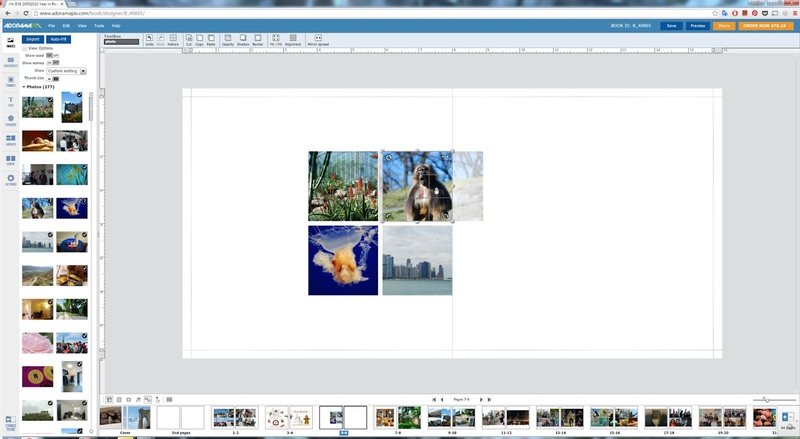 Online only photo editor is not robust (no position coordinates or size dimensions, cannot copy paste objects). Costco: The only layflat option is 12x12. 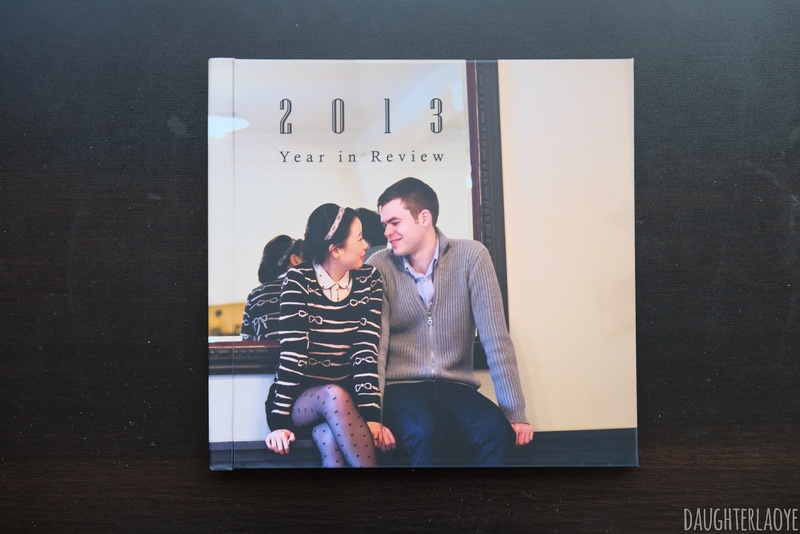 I believe Shutterfly produces these books. 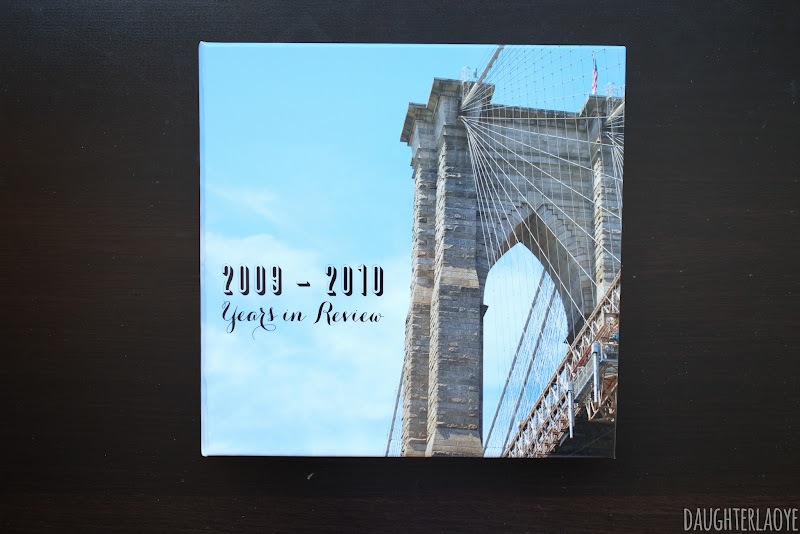 Presto Photo: Seamless layflat books are only available in 8x12 format; maximum page count of 30. 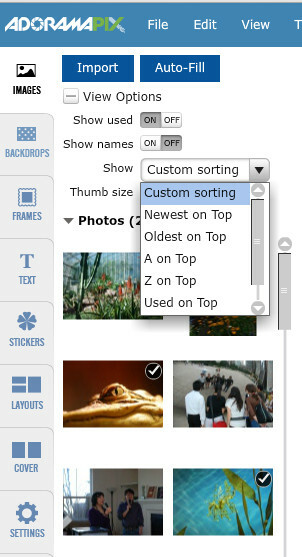 HelloPics / Photo & Go: Layflat books only appear to be available in square formats. Only available in groups of 10's. Typos on website. Book editor does not appear to be robust. 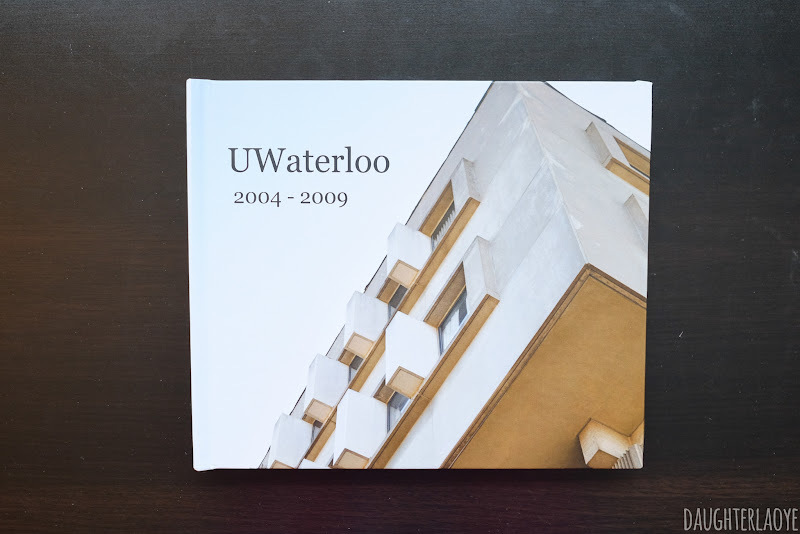 Photobucket Print Shop: Layflat books only available in square formats (no landscape format). 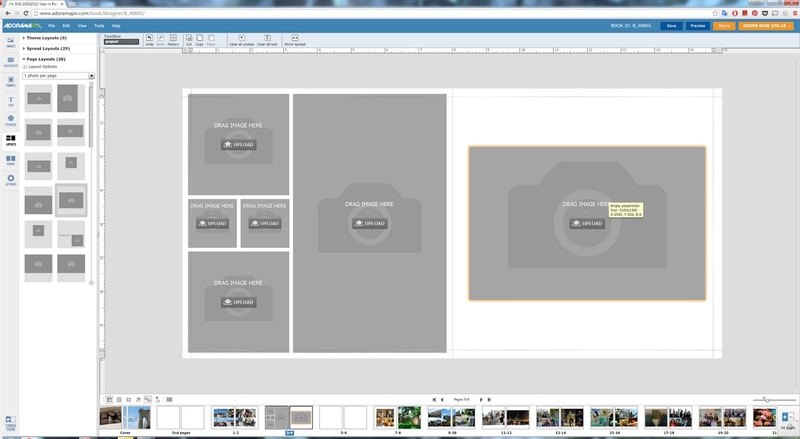 Template layouts are fixed. 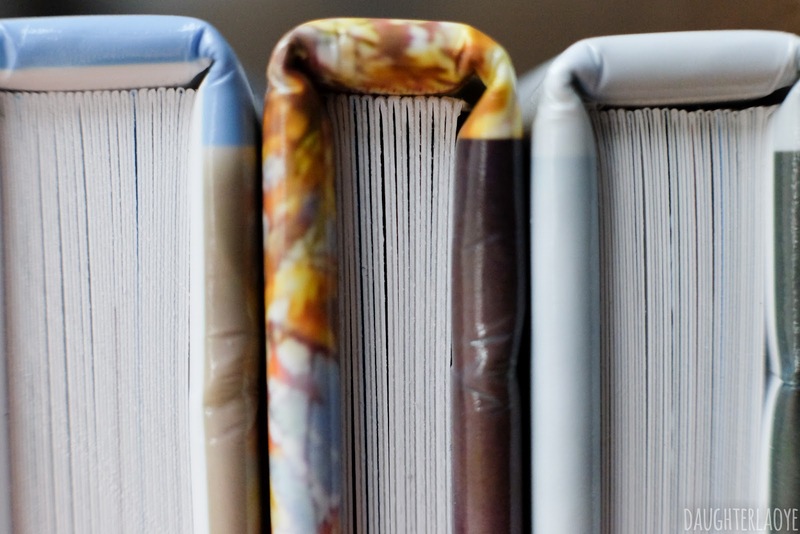 Winkflash: Layflat books are flex-hinged, not seamless. 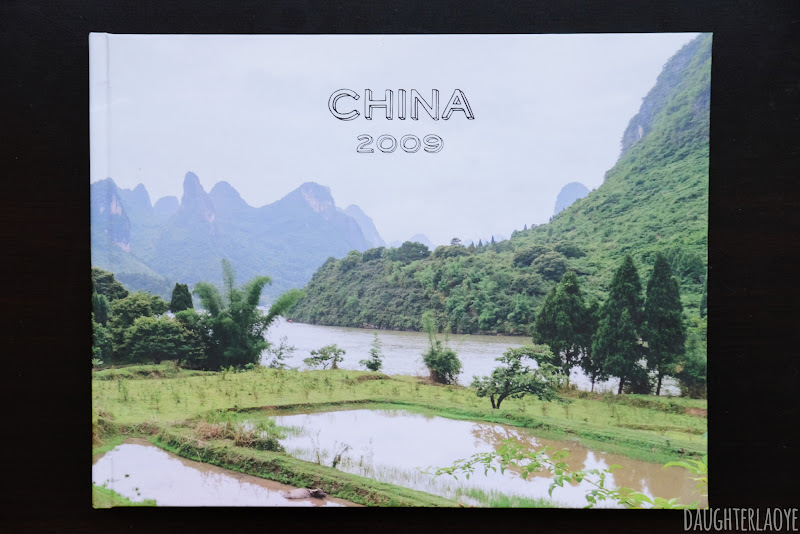 Only available in one landscape format (8.5x11). 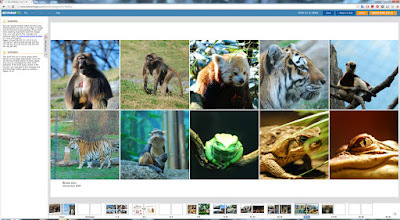 MyPicTales: Few reviews and appears to use the same software as MyPhotoCreations. 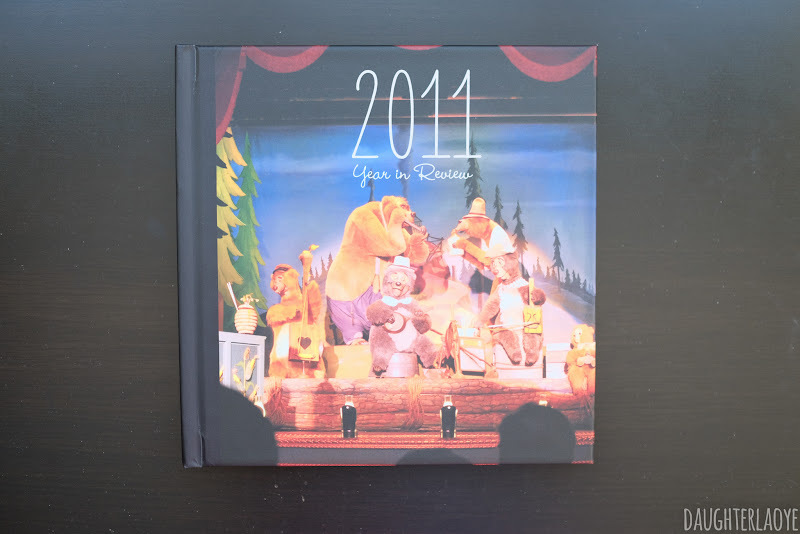 Smilebooks: Few reviews on this service since 2011. 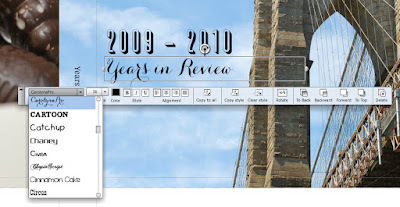 Some older reviews mention an unsightly barcode on back, and that pages must be added in groups of 8s. 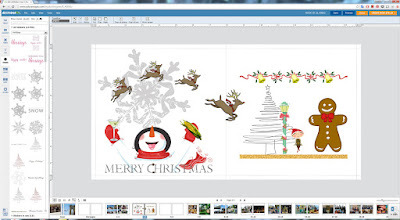 Real photo paper is used, so there is risk of photo paper sticking together. Not enough information provided on the website. WHCC: Pricing not available without account. Geared towards professionals, but I believe they are open to consumers. Does not appear to be a photo editor available. Studio sample is stamped into fly pages, 25% off, still more expensive than ProDPI. WHCC acquired ProDPI a few years ago. Somerset: Offers both flex-hinge and flush mount, but only in squares. 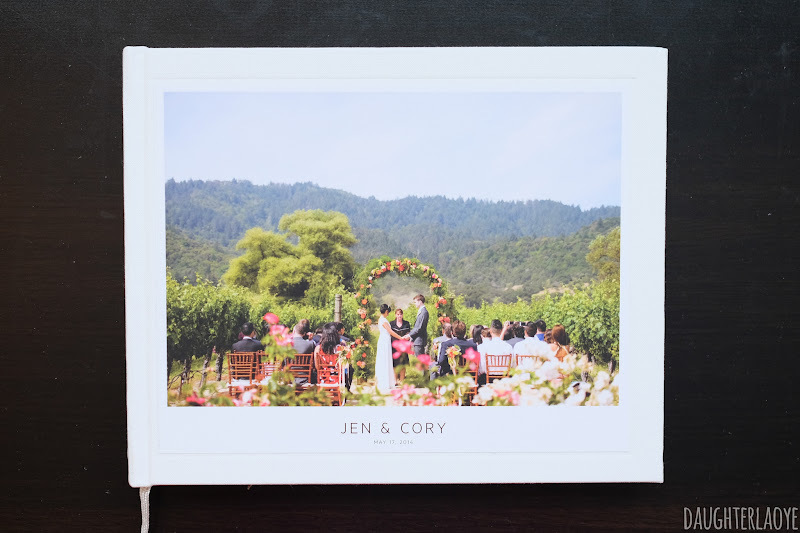 Higher base pricing (8x8 flex-hinge is $55 for 10 spreads, 8x8 album is $277). There appears to be a photo editor available. 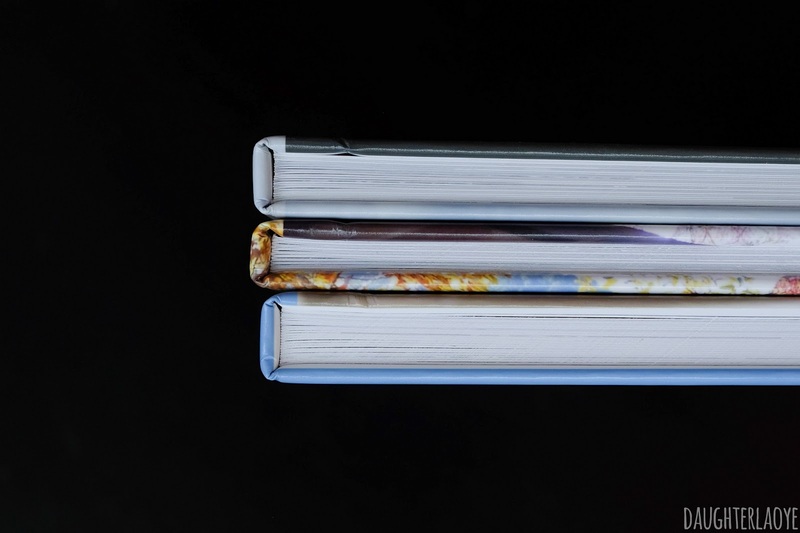 Richard Photolab: Layflat books are flex-hinged, not seamless. Image wrap cover does not appear to be available. Ordering is through ROES. 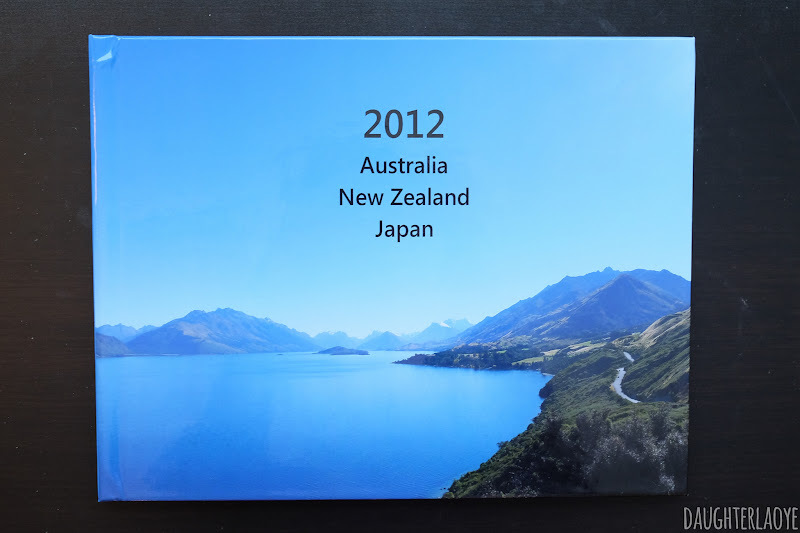 Nations Photo Lab: Layflat books are flex-hinged, not seamless. 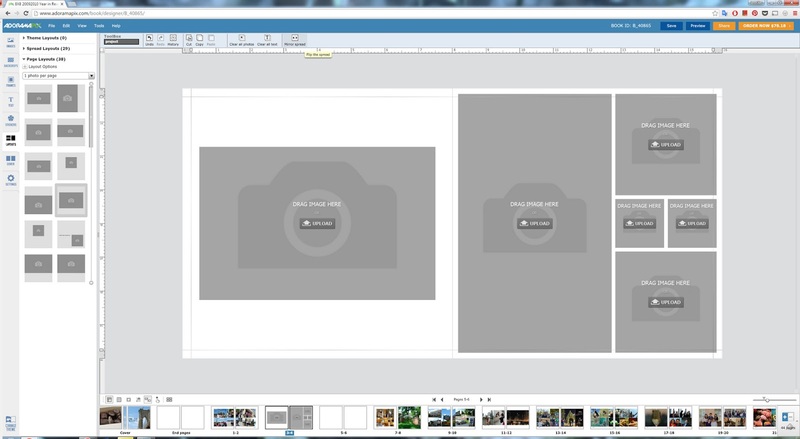 Maximum page count in 30 (15 spreads). Software is not robust. Millers / MpixPro: Layflat books not available through Mpixpro anymore. Miller's Signature Books and Layflat Albums, but is only available to professional photographers. 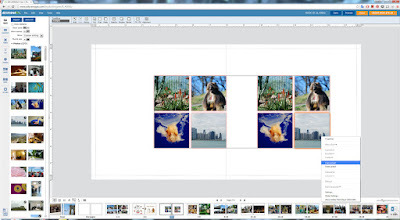 Clark Colorlabs: Layflat books do not appear to be available. Apple Photo Books: Layflat books do not appear to be available. Bookemon: Layflat books do not appear to be available. CVS: Layflat books do not appear to be available. Memento Press: Layflat books do not appear to be available. Chatbooks: Layflat books do not appear to be available. 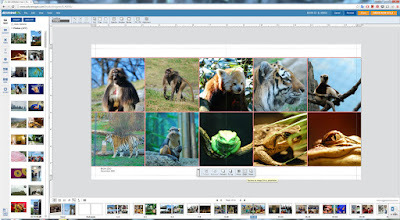 Layouts limited to 1 photo per page. 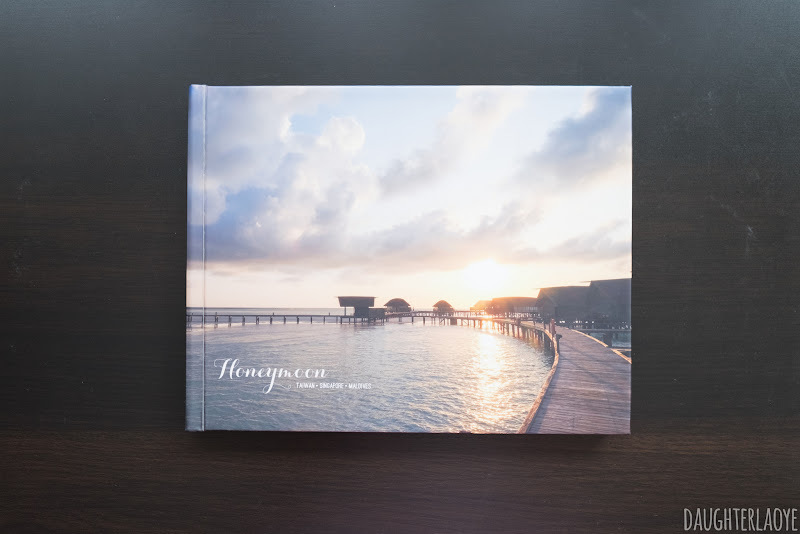 ProDPI: High quality cover and binding, flexible but sturdy pages, great quality press printed images, and excellent customer service. No free software, but sample pricing! AdoramaPix: Fabulous print quality (though slightly darker than expected). Excellent build quality, although the double-thick pages are distractedly thick to me. 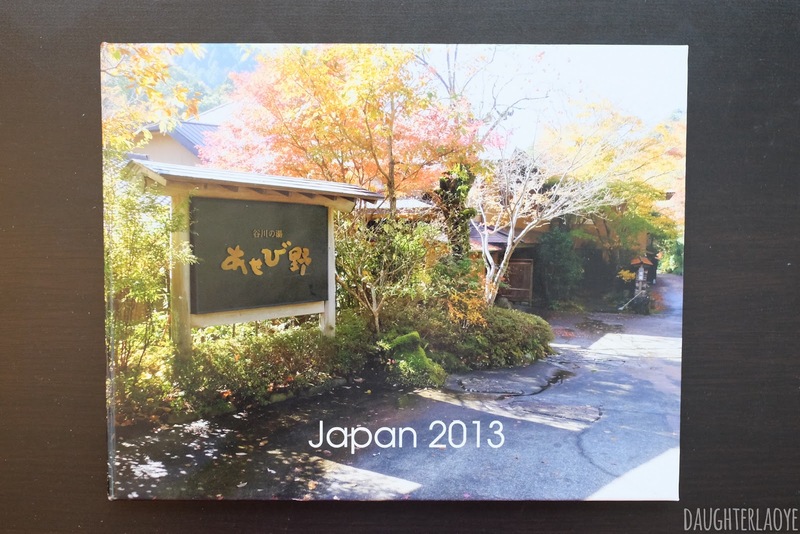 Choice of photo paper finish and great customer service. Free software is more than adequate. MILK Books: Love the quality of the book, layflat-ish binding (sewn signatures), paper quality, and colour reproduction. The free software is god awful. 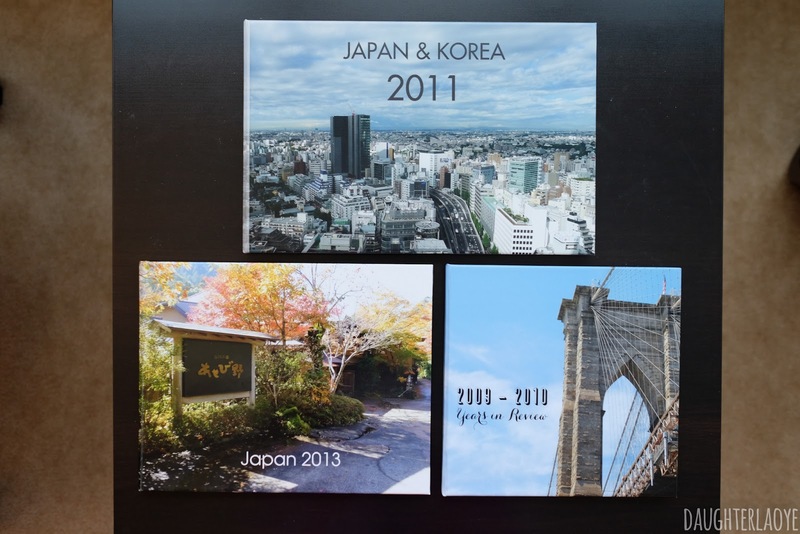 Out of these three, I will continue to order from ProDPI and AdoramaPix for different types of books. 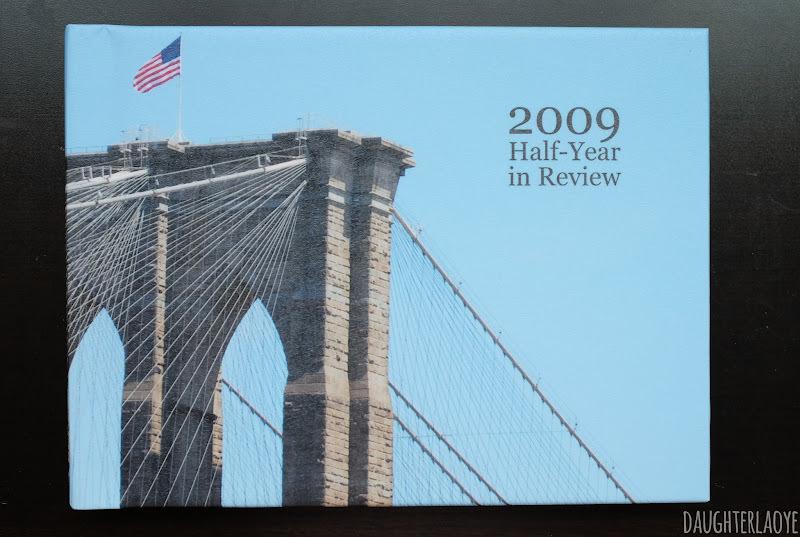 I plan to use ProDPI for my Year In Review and vacation photobooks, and AdoramaPix for gifts (on Fuji HD Glossy paper) or artsy projects (on Fuji Deep matte). While I liked my MILK book, the lack of spine labeling and full imagewrap cover (and terrible software experience) are enough to keep me away, but I do think they are really nice. I hope my reviews have helped someone out there! I probably spent a lot more time and money on this hobby than I should have! 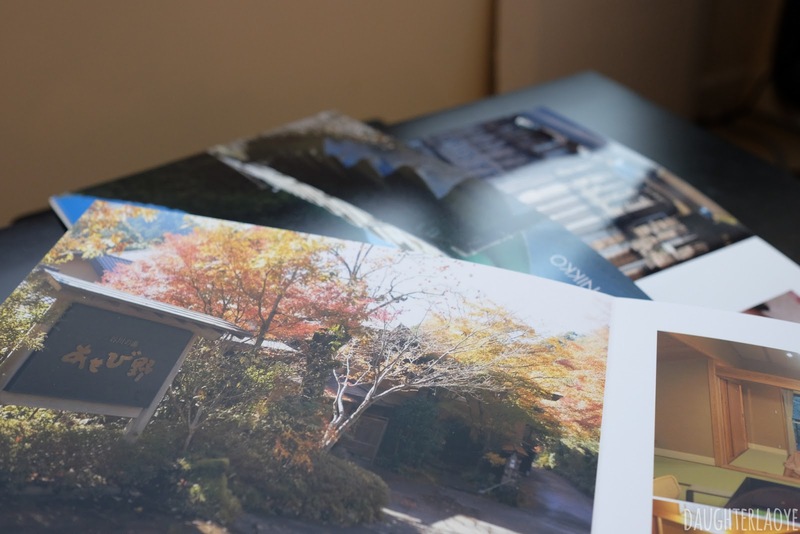 I tried three different sizes and paper types from AdoramaPix, so will need to post my reviews separately (otherwise this post would be intolerably long). 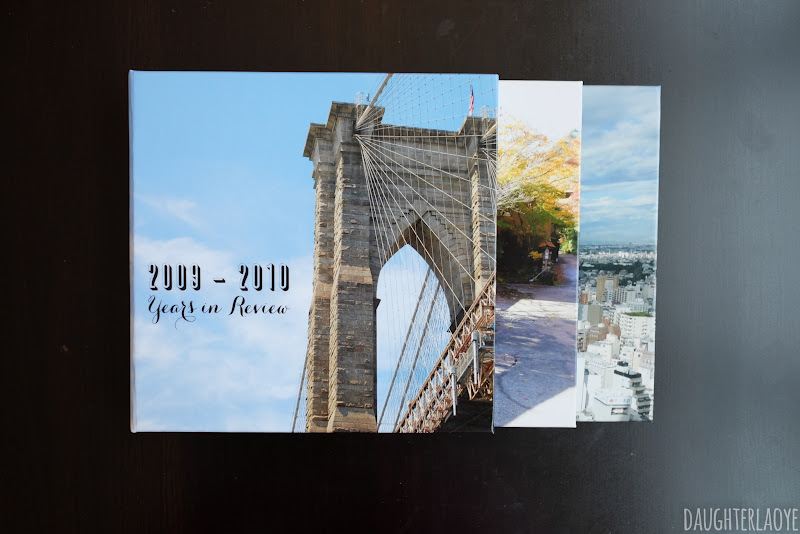 For this first post, I will give my thoughts on AdoramaPix's online software for building photobooks, and some quick comparison pictures of my photobooks. I hope to post the individual photobook reviews soon. 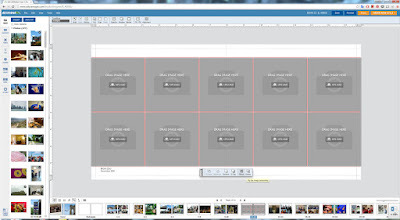 Software showing the cover. Images are on the left, and spreads/pages along the bottom. You can add or remove spreads, but only in even numbers. If you delete a spread, it will delete the one currently selected. Quite a lot of premade layouts, but not many that suit my aesthetic. My obligatory ridiculous sticker collage. I didn't use any stickers in my actual books, but if you are so inclined, you have ... options. One of the best features here that I didn't see anywhere else: when you select multiple objects, you can then easily center the GROUP of objects. This saved me a ton of time. And each object has a Properties box, so you can adjust the position coordinates or dimensions EASILY. Double click an image to pan/shift the image around in its container. Much better than some software which opens a separate dialog to do this. 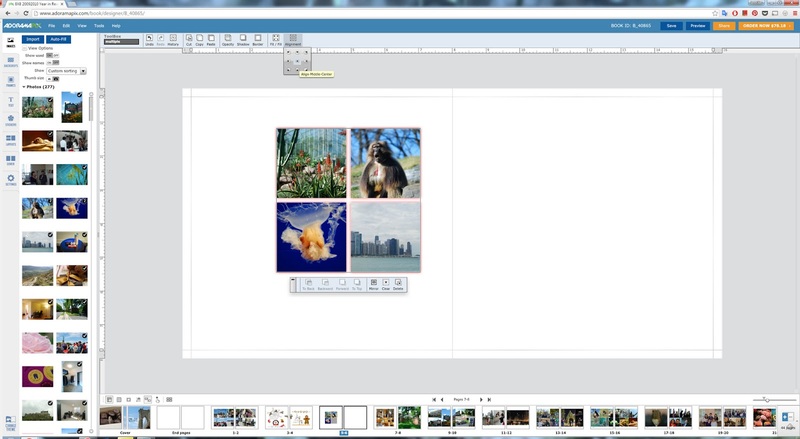 Another great feature is that you can copy objects, groups of objects, and entire spreads. Also adjustable gridlines are available. I didn't use them, since I specified dimensions and coordinates by pixel. 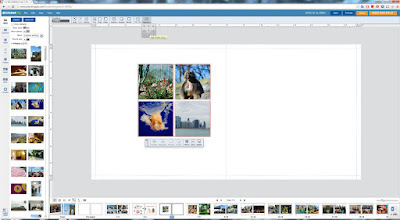 The Preview mode hides the trimlines, but a warning message on the left shows which pages have images within the trim area. 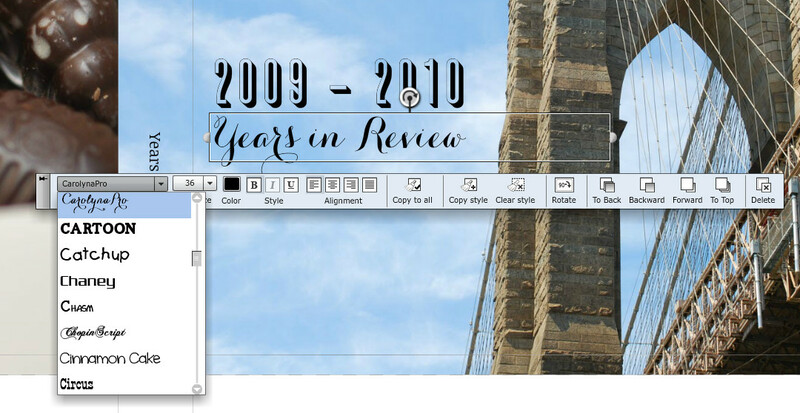 End pages cost $2, but if you opt into the logo, they are free. I just paid the $2. End pages are the same photo paper as the rest of the book. You can also easily adjust image opacity, but again, I didn't make use of this feature. 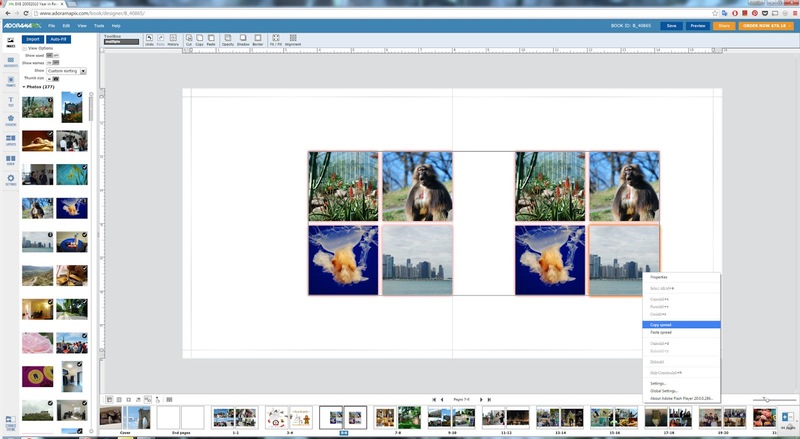 to make your own template. 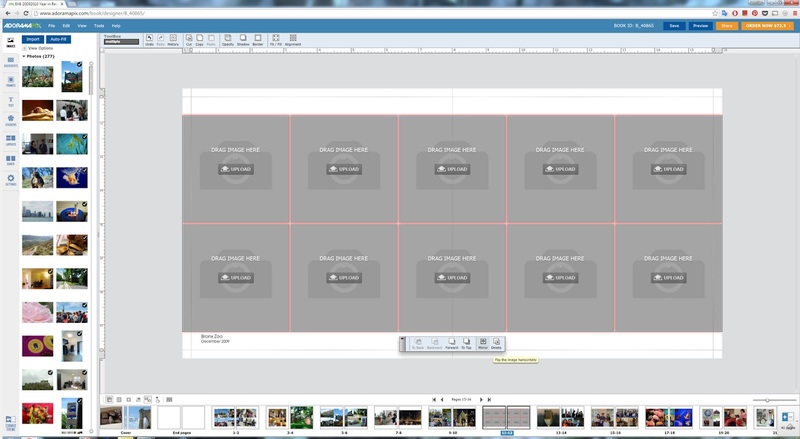 Not quite the same as saving custom layouts, but pretty darn close. 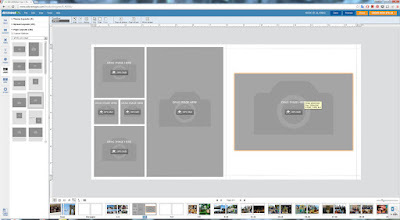 AdoramaPix also provides some Photoshop templates if you prefer to create your layout in Photoshop here. Here are the three sizes I tried. 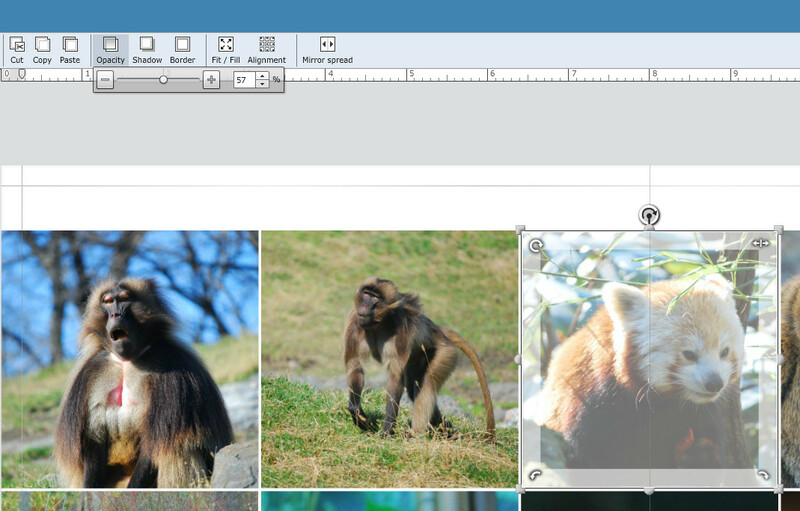 Personally, I felt the 8x12 size to be a bit too long (but it does fit 3:2 full bleed pictures wonderfully). 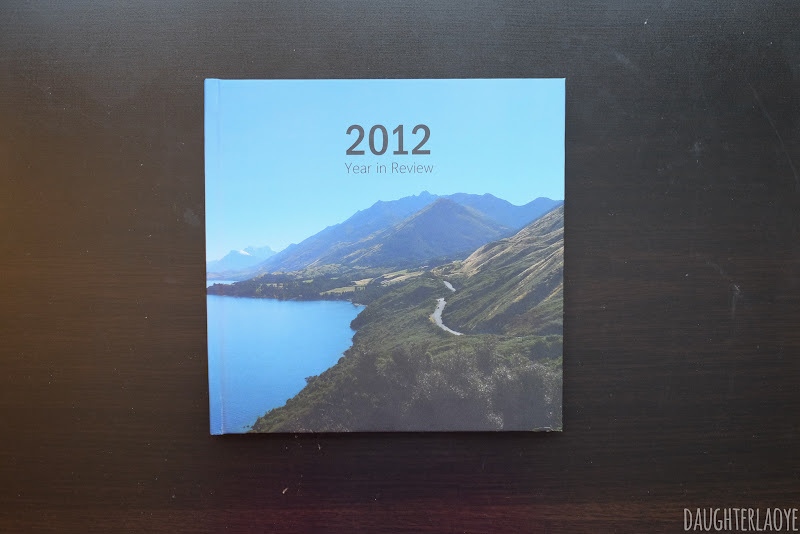 I prefer the 8x10 size for travel photo books and the 8x8 square for more casual projects (like year in review books). Although my Blurb book was also an 8x10 size, the actual measurements are a little different. The Blurb is a little taller and a little shorter, which gives it a more squat appearance. Fuji Deep Matte: the most expensive paper they offer (and not available in certain smaller sizes). This feels wonderfully luxe, but I found it works better for landscapes than pictures of people. It looks great for full bleed prints, but less impressive on smaller pictures. Fuji HD Glossy (High Gloss): I generally dislike glossy finishes, but this one is actually very nice. The colours are super vivid, and the paper does not retain fingerprints like most glossy paper. It gives a more casual vibe, though. I think this is great for vacation prints. I would recommend the Deep Matte paper for more art-sy projects, and the HD Glossy for more casual prints. Lustre is also good, if you don't have a strange aversion to the texture! Close-ups of the paper will be in each of the individual reviews. More info on the paper types here. I briefly considered getting a caliper so I could provide some numbers, but they are surprisingly expensive, so you will have to settle for a non-scientific comparison! From thinnest to thickest (of the three I tried): Lustre, Fuji HD Glossy, Fuji Deep Matte. More detailed individual review posts to come!